Home/ Gemstones/ Topaz/What is Difference Between Yellow Sapphire And Topaz Gemstone? Yellow sapphire and topaz, both are precious gemstones and highly appreciated for their delicate colors and intriguing qualities. 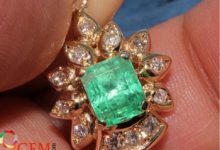 Due to their rich set of features, people highly appreciate wearing this gemstone. However, due to their same physical appearance arises the confusion among people that whether these stones are same or different. Thus, to understand the difference between yellow sapphire and topaz read the following. First of all, we will discuss the yellow sapphire gemstone. The preeminent yellow sapphire belongs to the corundum family. The hardness of the stone is 9.0 on the Mohs scale which makes this gemstone one of the toughest gemstone among all gemstones. The highest quality yellow sapphire stones are found from Sri Lanka, Japan, Tasmania, England. Yellow Sapphire is immensely popular among people all around the world due to it is rare color and physical characteristics. Generally, people just adore wearing yellow sapphire as an engagement ring, necklace and in another form of jewelry. 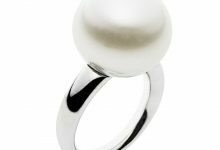 Apart from its enduring physical characteristics the above gemstone also attains excellent astrological features. It is being said as per Indian mythology that yellow sapphire gemstone or Pukhraj stone affiliated with the coercive planet Jupiter, which signifies wealth, fortune, luck, and happiness. 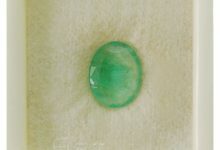 Thus, by wearing this gemstone a person qualifies to attain all auspicious results advertised by the planet Jupiter. 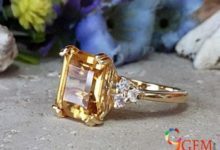 Topaz Gemstone appears quite identical to yellow sapphire or Pukhraj by the reason of that little gem seller sells topaz in the place of the yellow sapphire gemstone. 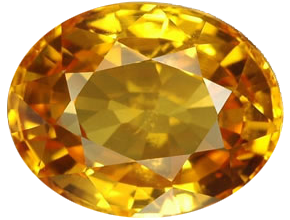 However, in comparison to yellow sapphire, topaz is not that much rare and valuable gemstone. However, it is rich in offering different varieties of colors ranging from red, yellow, blue and pink. Whereas initially, a topaz gemstone is colorless nonetheless, it exhibits different colors when a different quantity of impurities is being added to the gemstone topaz. Majorly, the yellow color topaz displays the rich amount of yellow color in comparison to yellow sapphire that displays light yellow color. The topaz stone is found abundantly on earth, but yellow sapphire does not find that much quantity. Yellow sapphire is light yellow in color with more transparency, whereas a topaz stone is a dark yellow in color with rich brightness. Topaz gemstone is not a rare gemstone, it is found in almost all places on the earth, whereas; in the case of yellow sapphire it is found in limited places. Topaz gemstone is one of the most excellent and precious semi-stone on the other hand; yellow sapphire is one of the best precious gemstones. Topaz gemstone is generally heated at a low temperature, as compared to the yellow sapphire. Since yellow sapphire is a valuable gemstone and it is mandatory to dispel all negative forces or impurities which are being attached to the gemstone. Although topaz gemstone is also heated at a definite temperature to dispel negativeness absolved inside the stone. Apart from physical appearance, the yellow sapphire stones have been appreciated for its high-end astrological powers. Unfortunately, Topaz does not possess any of such properties. The specific gravity of yellow sapphire stone is much higher than topaz stone. 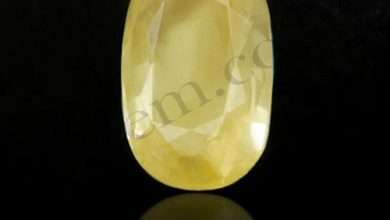 Yellow sapphire gemstone is more expensive in proportionate to topaz. Yellow sapphire is denser whereas topaz is less dense. We can not suggest you gemstone as we are Gemologists. You need to consult with astrologer for this. We are associated with some astrolgoers but their services are paid. 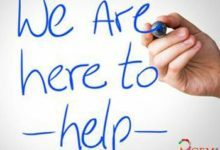 Please contact at support@9gem.com if you want astrology services from us. I M BIT CONFUSED THAT IF I SHOULD WEAR TOPAZ OR YELLOW SAPPHIRE ? 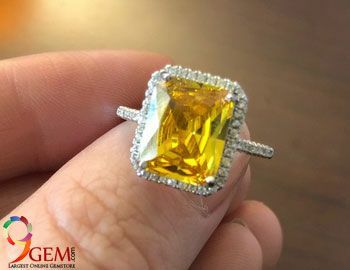 First thing is that yellow sapphire is a premium quality precious stone and yello topaz is the semi precious stone used as substitute for yellow sapphire gemstone. I advise is that you should go for the yellow sapphire gemstone if it suits you. Yellow sapphire act very fast and will give you the benefits after wearing it. 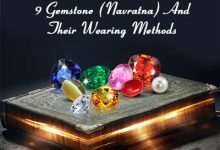 Make it sure that astrologer advised you to wear gemstone as per your birth chart readings. Please contact us at support@9gem.com. 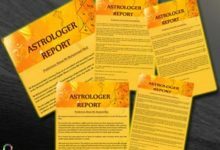 Expert astrologer will help you in this. I’m Deepak Chandra Banik and date of birth 23rd October 1976 place in Comilla, Bangladesh. 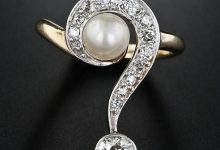 I’m confused about wearing gem stone. Please let me know which stone I can wear. this is MAHENDER SINGH DHANJAL.MY D.O.B IS 20TH AUG 1961.TIME 13.20.PLACE -KANDRA (JHARKHAND) INDIA. Topaz is a semi precious gemstone and Yellow Sapphire is a premium stone. I advise you to go with the yellow sapphire for better and fast results. As yellow sapphire is the premium stone you should go for that for fast action. 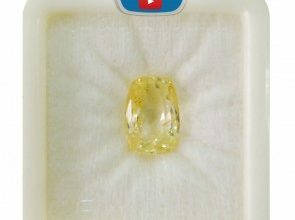 Also please buy Srilankan (Ceylon) yellow sapphire along with the gem certificate. These days most of the people sell synthetic gems and charge the same amount as of natural unheated stone. Please tell me the cost of good quality of yellow sapphire or pukraj. Please let us know how much ratti you needed? We have 4 grades in yellow sapphire gemstones.